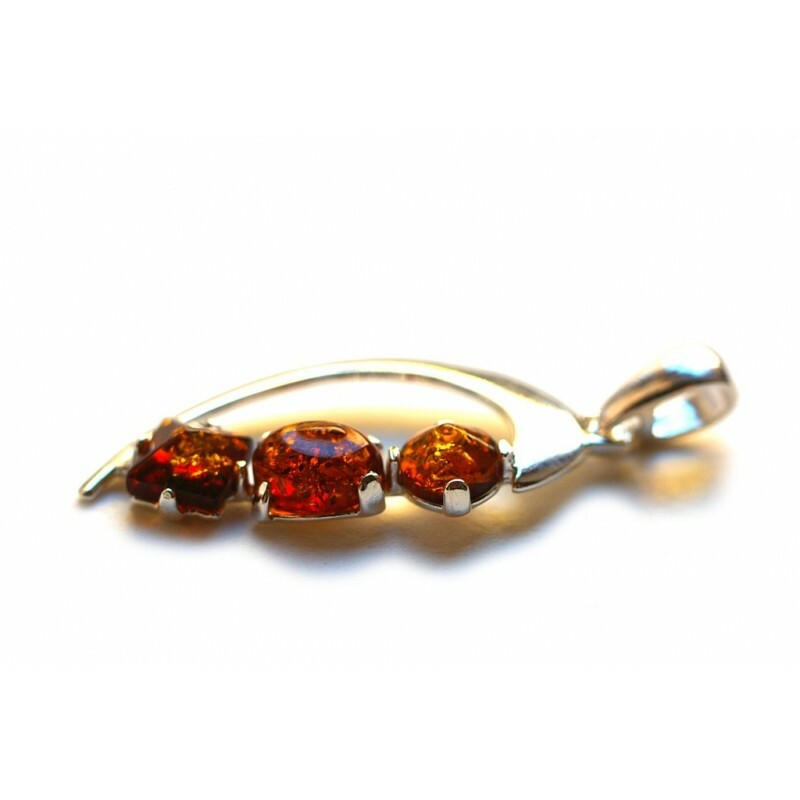 A stylized silver leaf to which brown amber pieces of three forms are fit in a beautiful arc. A play of various shapes, colors and textures. Brown amber calms anger, aggression, frustration about all, jealousy, revenge, angry grievances. It is suitable for those who do not know where to put their energy, who are overly agile and active. 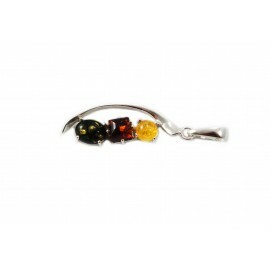 Amber - silver pendant "Play"